As you know, if you want fundraising success, you need to focus on more than just reaching the short-term dollar amount. As a Creeklife member, we want to introduce you to the concept of social fundraising which can help you achieve or exceed your fundraising goals on our site. 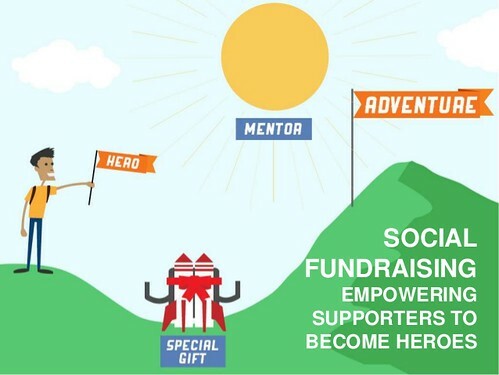 Social fundraising helps you rally your audience to expand your reach in order to acquire new donors. 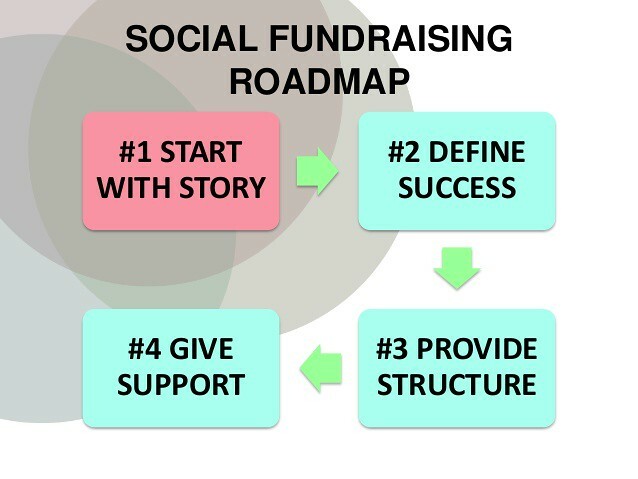 This guide aims to show you how to use social fundraising to reach fundraising goals and sustain them for the long term. Social Fundraising: What is It? Also known as peer-to-peer fundraising or P2P, social fundraising occurs when nonprofits or causes empower their supports to fundraise on the organization’s behalf. Since supporters have networks of their own, social fundraising allows organizations to extend their reach well beyond their established networks. Since supports advocate for your cause, you gain enhanced social credibility that you wouldn’t have access to if you reached out to those people directly. Nonprofits start social fundraising by identifying supporters who are passionate about the same cause your organization deals with. Because nonprofits are able to tap into an exponentially larger network when they utilize social fundraising, their potential pool of contributors drastically increases. When you gain advocates, they tell their friends about your cause and the information spreads much more organically. With this method, an organization’s message and impact can be amplified. Although donating can be highly personal and emotional, often people choose to donate to a cause or organization because of social ties. Donating is also a social activity in the sense that when our family, friends, or peers appeal for funds on behalf of a cause or organization, we become much more likely to act. Additionally, since someone is asking their friend or family member to donate directly, the social pressures can actually influence their decision. When people see that their network is coming together to support a cause, it is hard to resist joining in. Compared to traditional “broadcast” messaging, social fundraising is a two-way relationship. The advocate for the cause tells the most likely people they know who might donate – their contacts. Donating allows the person receiving the message a chance to reciprocate in the relationship. When they donate they demonstrate that they’re a person who does good, supports their friends, and is part of something larger in the world. Social fundraising makes donating to nonprofits and causes feel even better. Peer-to-peer fundraising is comprised of people with unique ties to the organization or cause. Because of this, their messages to family and friends are story based. A compelling story can drive someone to donate better than almost anything else and since it’s coming from the supporters rather than the organization itself, it feels more authentic and genuine. Before you begin make sure you have an online fundraising program in place. You will need to easily be able to accept donations from people anytime and anywhere. Creating your Creeklife project gives you just that. You will also want to maximize your social media, email, and other communication channels to ensure that you are getting the most out of your outreach before starting. With the basics in place, now you want to recruit 5-10 core supports who will energetically advocate on your behalf. Get these people invested in the process so they will become even more excited about getting your campaign off the ground. You will need to make sure your case for giving is solid. Without it, you will struggle to gain supporters and inspire donors. Make sure it is easy for a potential donor to recognize why they should give to your cause, how the money will be used, and the impact that will result. Every organization must let go of their message to some degree during any great social fundraising campaign. You need to trust your supports and advocates to share their own unique story. If your organizations tries to keep the message too tightly under control, it can limit the results from the campaign. At Creeklife.com we want to help you fund your project. Our crowdfunding platform gives you everything you need to receive donations for your cause 24/7 and from anywhere in the world. Since you created a project on Creeklife.com, we want these tips to help you increase your donations through social fundraising. Social fundraising utilizes a cause’s supporters to find new donors and share the message. Recruit advocates for your cause to share your message to their network of family and friends. Social fundraising works because people trust their friends and are more likely to join in and help contribute to a cause the people they know care about.